A report from the North East Office Agents (NEOA), comprising Cushman Wakefield, Bradley Hall, Gavin Black & Partners, Lambert Smith Hampton, Sanderson Weatherall, GVA, Knight Frank, Naylors and BNP Paribas, revealed the office market finished strongly in the final quarter of 2017 with a new benchmark for prime rents in Newcastle reaching £23.50 per sq ft and an improving level of enquiries in the run up to the year end, a momentum that has been upheld into 2018 giving cause for a positive outlook for the new year. There are some strong messages coming out of the market that give cause for a positive outlook at the start of 2018. The market was subdued throughout the 2017, a mood that seemed to affect both in the city centre and out-of-town markets. Unlike other years, neither market benefitted from any notably large transactions taking place this year, the largest single City Centre letting being Eldon Insurance taking 21,000 sq ft at 2 St James Gate (pictured). While large city centre lettings are uncommon, most years will deliver several transactions of more than 20,000 sq ft and perhaps one 30,000 sq ft plus letting. The trend was repeated out of town. 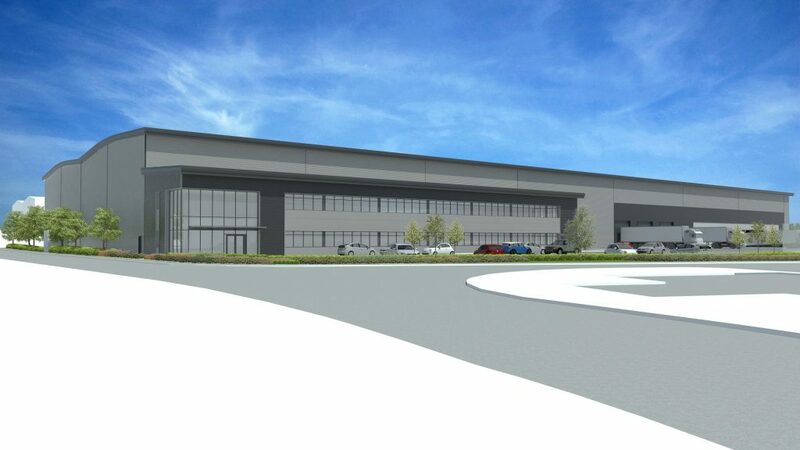 In a market that has seen at least one transaction of 45,000 sq ft plus, and several 30,000 sq ft plus deals in each of the preceding six years, the largest transactions in 2017 was the Freehold purchase of 6 Admiral Way, Doxford by Durham Police, whereas the largest letting was Northumbria Water’s acquisition of 26,000 sq ft at Spectrum Business Park, Seaham. NEOA statistics show take up for 2017 was therefore below the five year average in both city centre and out-of-town at 178,000 sq ft, and 453,000 sq ft respectively. However, there are positives to take from 2017 in particular. Of the lettings that have taken place, rental levels have generally been higher across all grades and we are starting to see the return of confidence in the market with several speculative refurbishment schemes now on site in the City Centre. Looking to the Out of Town market at the end of 2017 there was a greater level of enquiries in the market for larger floor space which ought to come through in 2018. Across the market, all agents have reported an upswing in the level of enquiries and viewings in December, and whilst we are only just into the New Year, it appears that this momentum has carried through. There were a number of transactions in solicitors’ hands that had aimed to conclude in December that slipped so a positive start to 2018 is expected with a number of early transactions recorded in January. So while the Q4 figures were disappointing, there is an expectation that 2018 ought to show some return to normality with most agents reporting deals that did not quite get across the line in 2017 expected to complete in Q1 this year. Furthermore, there is an expectation that we will end the year with prime City Centre headline rents reported at £24 per sq ft, which in turn opens up the gap between prime and secondary that creates sufficient margin to make refurbishment more viable.